Beautiful 3 Bedroom Ranch On Large .67 Acre Lot w/No HOA's. Great Room w/Vaulted Ceiling & New Luxury Vinyl Flooring, Kitchen w/New Granite Counters & Freshly Painted Cabinets, New HVAC! 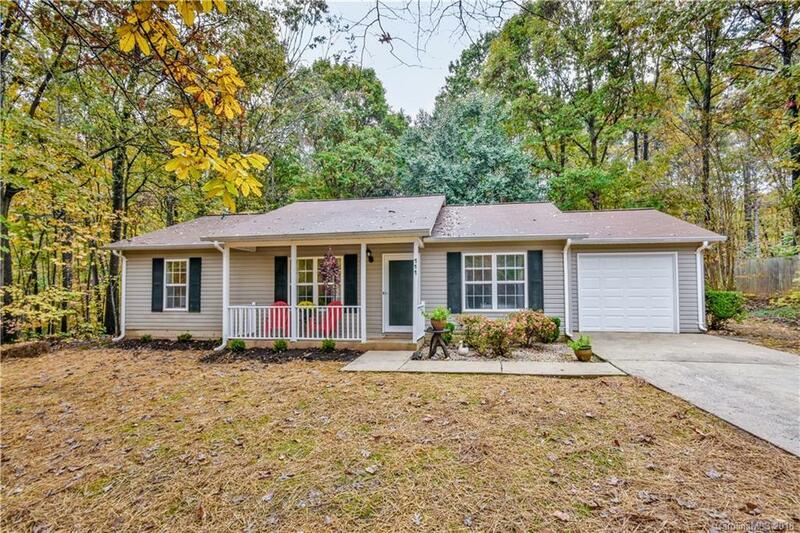 Fresh Paint, Master Bedroom w/Walk-In Closet, Large Secondary Bedrooms w/Double Closets, Laundry Area w/Cabinets, Private Backyard w/Storage Shed, Patio & Fire Pit, Recently Landscaped w/New Mulch, Bushes, Seed, Stone Pathway & Plants. Excellent Location Close to Lake Norman Access Area & Stumpy Creek Park. Low Iredell County Taxes & Award Winning Iredell County Schools.